Sussex Bowl had been a top entertainment destination for the Pewaukee, Wisconsin, area since 1972. 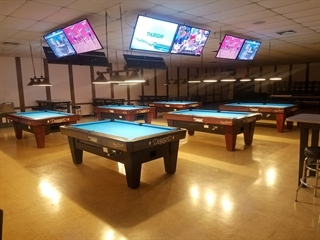 We have fun and entertainment for all ages, including: pool hall, game arcade, affordable food and beverages, beach volleyball, and of course Bowling. We are well known in the Pewaukee area for our homemade pizzas, and on Fridays enjoy our secret recipe hand breaded Fish Fry and homemade potato pancakes. Visit our on-line menu page for a complete list of your favorite pub food.